The use of outdoor banners is a powerful method of attracting attention to your product or service. Outdoor personalised banners are immediately impactful and attract the attention of passers-by and potential customers, so long as they are located in the right place, and designed purposefully and effectively. When you design and print an effective outdoor banner you can see an increase in customer numbers or sales. 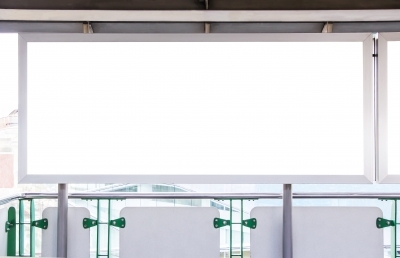 Here’s what you need to focus on for a great outdoor banner. The first question you need to ask yourself when you start designing your banner is, what purpose will this banner fulfil? What is the end result of people seeing your banner? You do not have unlimited space on a banner so you need to focus on the message that will be most prominently displayed. Once you have sorted out your purpose you can design a banner that will be clear and easy to understand, and will meet your overall needs. Think about where your banner is best located. For a banner to be effective it should be well-placed. You can either situate a banner where you get the greatest number of views possible, or you can locate your banner where it will reach a specific audience. For example, locating banners at a trade show will reach a specific audience, and can be very effective at giving your target audience more information about your product. Placing a banner above your shop on the high street will result in more views, and attract more people into your shop who are passing by. When you are thinking about banner printing you need to decide on the specific type of banner needed, which will be affected by the location and the place you are displaying it. Outdoor banners need to be strong and durable – pop up banners work when they are displayed in a place where there is no wind or rain, while heavy-duty vinyl banners are more effective for displaying in all weathers. Make your design as eye-catching as possible. An outdoor banner needs to attract attention from a distance so your images and headlines should be bold and colourful. Capture people’s attention with a relevant, bright image and a headline that immediately tells them what you are offering. Choose colours and design wisely and always keep things clear and simple. Give the text and the image some room to stand out by using white space and avoiding designing a cluttered banner full of unimportant information.